A stylish and simple spot that successfully conveys the brand of the company in a short 15 seconds. 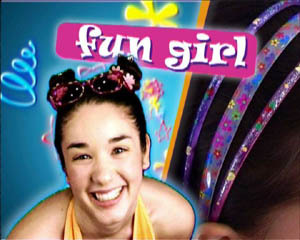 A new range of girl's accessories with a funky brand needed a fun animated look with plenty of energy. 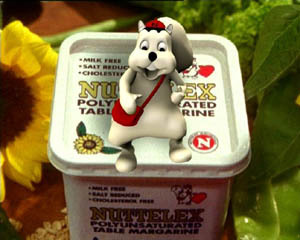 Loads of fresh vegetables filmed in rich Super16mm fill the screen in a successful commercial, which helped to to brand this vegetable margarine full of health benefits. 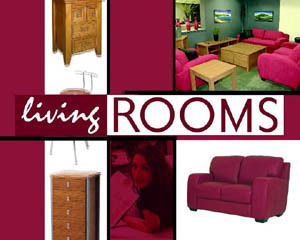 A stylish commercial for an upmarket furniture store. 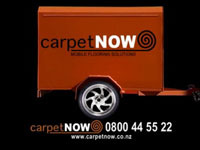 This commercial required no filming as it was animated using photographs supplied by the client. 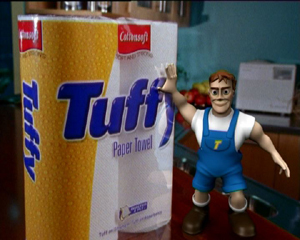 Even the dog uses Tuffy paper towels! An exciting new pharmacuetical product launches onto the market with a clear branding position helped by the clever characterisations in this series of TVC's.